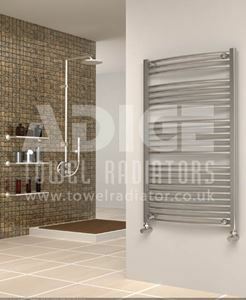 500mm wide and 1150mm high pre-filled chrome flat thermostatic heated towel rail with 400 Watt - 1365 BTU/h @ heat output Delta 50. 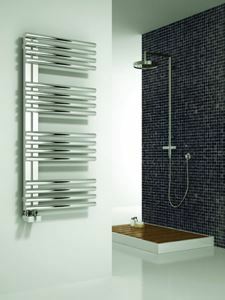 Comes complete with a water temperature based 600 watt thermostatic electric heating element which you can regulate temperature. 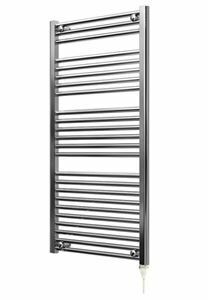 500mm wide and 1150mm high pre-filled chrome flat standard heated towel rail with 400 Watt - 1365 BTU/h heat output @ Delta 50. 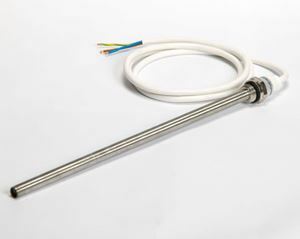 Comes complete with 600 Watt standard type electric heating element. 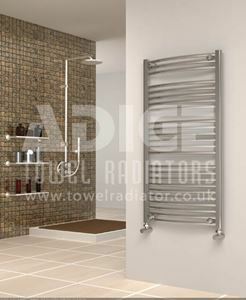 600mm wide and 1150mm high chrome curved heated towel rail with 470 Watt - 1604 BTU/h @ Delta 50. 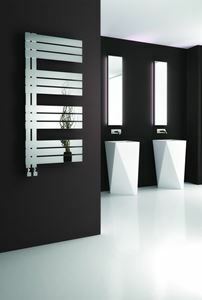 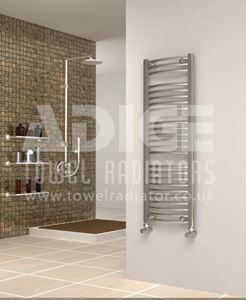 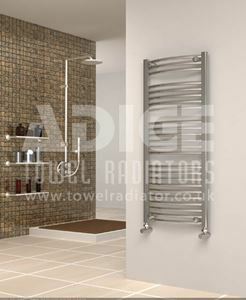 600mm wide and 1150mm high chrome flat heated towel rail with 467 Watt - 1595 BTU/h @ Delta 50. 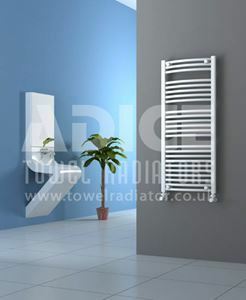 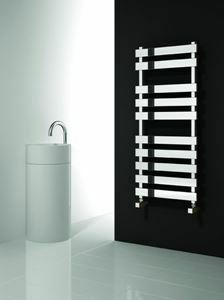 600mm wide and 1150mm high white flat heated towel rail with 592 Watt - 2019 BTU/h @ Delta 50.